In 2000, a seed was planted to grow a community where people could discuss, share and build awareness of the rare disorder, Primary Orthostatic Tremor. Everyone should be very proud of being part of this process! The Orthostatic Tremor Research and Education Fund (01130710) at the University of Nebraska Foundation. 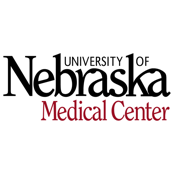 In 2012 and 2014, the University of Nebraska Medical Center (UNMC) hosted the largest research studies into OT under the leadership of Dr Diego Torres-Russotto and the research team at UNMC. The funding for each of these previous studies was provided through the UNMC. To continue and build upon this research the UNMC has established a new fund specifically for OT research. Information about how to donate can be found below. Please donate to ensure that this very important research continues. The patients participated in a two-hour physical examination by a movement disorder specialist and a physical therapist, as well as electrophysiological studies. The goal of the study will be to determine if the patients really do have postural instability and to assess the presence of ataxia, a neurological sign consisting of lack of voluntary coordination of muscle movements. An electroencephalogram (EEG) test, which records brain waves in an effort to determine the place in the brain that is causing the problems. Najib Murr, M.D., assistant professor, neurological sciences, will be performing and analyzing the EEG arm of the study. They tested a smart phone app that can be used to diagnose the disease by measuring tremors in the legs. Received psychiatric assessment by a UNMC psychiatrist, Mark Fleisher, M.D., that will attempt to measure their level of suffering. • What is the NORD Research Grant Program? 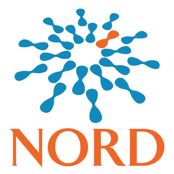 NORD’s Research Grant Program provides seed grants to academic scientists for clinical studies related to development of potential new diagnostics or treatments for rare disease. In at least two cases, NORD grants have resulted ultimately in FDA-approved treatments for patients. Patient groups are responsible for raising the money. In the case of the Orthostatic Tremor Research Grant the money is from People with OT, friends and family. In the research grant that was awarded last year, there was a surprise donation awarded from Lundbeck Inc, in the form of a special grant. • How did the OT NORD fund start? NORD created a program that would offload the extremely challenging aspects of handing the legal aspects, the paperwork and the administration of research grants. This created a very cost efficient path for rare disease groups to start something that would otherwise be impossible. At a small gathering of people with OT in 2008, several people volunteered to start the process of creating the Primary Orthostatic Tremor NORD Research Fund, and 8 years later the second research study is soon to begin. At the time of the meeting creating a research fund seemed impossible, it definitely surprised me! The failure would have been not to try. • Who chooses the research? NORD's Medical Advisory Committee (composed of leading academic scientific experts) reviews all of the applications and selects finalists. The finalists are invited to submit a full grant application describing their proposed project in detail. NORD's Medical Advisory Committee then reviews the full grant applications (peer review) and ranks them through a scoring system. The highest scoring grant applications are recommended for funding to NORD's Board of Directors who votes on the final grant awards. • What can be expected from the research? The only outcome with any certainty is to not try, to remain with the current knowledge of Orthostatic Tremor. The nature of research is that more is better, with each research study comes new knowledge, new paths to explore or simply knowing which to avoid. • When is the next Orthostatic Tremor grant awarded? This is up to the OT community. The fund continues to grow but with a rare disease it is challenged by the smaller number of people interested. Once the fund reaches it’s goal the process of sending out “Requests for Proposals” (RFPs) begins. It is quite a miracle that a tiny group of people, friends and family has both started a fund and initiated real research. 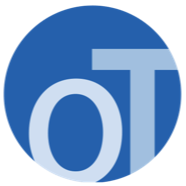 You can find more information about the prior OT research studies on the OT website and the forum posts updates on the amount in the fund on a regular basis. Click here to read more about the program and how to donate, let's work together to find a cure! **The National Organization for Rare Disorders (NORD), a 501(c)3 organization, is a unique federation of voluntary health organizations dedicated to helping people with rare "orphan" diseases and assisting the organizations that serve them. NORD is committed to the identification, treatment, and cure of rare disorders through programs of education, advocacy, research, and service. A 1-year NORD grant of $30,000 for a clinical research study related to the diagnosis and/or treatment of Primary Orthostatic Tremor has been awarded! The funding for this grant has come from donations by the Orthostatic Tremor community and a $10,000 grant from Lundbeck, a Danish pharmaceutical company. Lundeck created a special grant for the "Raise Your Hand" Rare Disease Day Fundraising campaign. We are fortunate that this project was the recipient of the Lundbeck grant. The remaining balance of the OT fund can be applied to future research when the fund reaches its next goal. In response to the letters of intent received, NORD's Medical Advisory Committee selected the top two applicants that submitted letters of intent to submit full proposals. Applicants have been notified and a final recipient will be notified in early 2015! In August of 2011 the OT Research Fund reached it's initial goal and requests for proposals were submitted to the NORD medical advisory team. In June of 2012, 2 research grants were awarded from the NORD OT fund. Whether anything will develop from these projects is unknown, but something is being done and that is a step forward. We may learn what OT isn’t and there is success in that result too. We are all very thankful. Title of Study: Is Cerebellum a Potential Therapeutic Target for Primary Orthostatic Tremor (POT)? The pathogenesis of POT is unknown but the condition is believed to originate in or near the brainstem. Dr. Meunier's proposal describes how the lives of these patients are severely altered, how thus far, medications have limited efficacy, and invasive surgical procedures, including deep-brain stimulation, have not been successful. This will be a pilot study using the non-invasive technique of repetitive transmagnetic therapy (rTMS) focused on the cerebellum. Dr. Meunier and her group have had success with rTMS in a few of their POT patients, and will now formally conduct this pilot study. Dr. Meunier, together with her colleague, Professor Marie Vidailhet (Head of the Movement Disorders Clinic, Pitié-Salpêtrié Hospital), will combine their resources to perform this pilot study. Dr. Vidailhet has been following approximately 30 POT patients for several years. "Our aim was to find out whether an artificial stimulation of the cerebellum ( a part of the brain situated at the back and bottom of your head) can improve the orthostatic tremor. To that end we stimulated daily for 5 days 9 patients with a primary orthostatic tremor. The amplitude of the tremor was measured before and after the stimulations by recording the muscle activity of the legs while the patients were standing. After the stimulations the patients found that their tremor was not improved yet the muscle activity caused by the tremor was clearly decreased. This suggests that the stimulation was effective yet not enough to be felt as beneficial. In the same time we scanned the brain of the patients by using MRI. The analysis of the brain images has not been done yet." The purpose of this site is to share information about Primary Orthostatic Tremor (OT). Since my diagnosis, my quest to learn more about this disorder has been frustrating and difficult to track. Hopefully, for all persons interested in this disorder, this website will become a coordinating link for collecting information, contacting other people with OT, and spreading awareness of this problem. Here you will find an active forum, my story / blog, and many other people that have shared their stories, advice and tips on coping with Orthostatic Tremor. If you have any information, suggestions, stories or services that you would like to share please email me. This website is intended to be an informal guide. Any information relating to a therapy, treatment or diagnosis must be received with caution. Only a physician is authorized to confirm its validity. It must not, under any circumstances, delay or replace the advice of the treating physician. And is not a substitute for medical advice.